Today I visited downtown Asheville North Carolina. I stopped in a local downtown bookstore and found a cool book by a local writer. "Creative Grieving - a hip chicks path from loss to hope." By Elizabeth Berrien. I'm just now digging through this book and found a few pearls of helpful things to DO in order to MOVE through your grief towards healing. The following contains quotes and summarizations from a small portion of the book. Please email me if you want additional information on any of these activities. Creative Hip Chick Ideas: Activities to nurture your spirit. This list of ideas was developed from some of the activities I created and practiced throughout different stages of my own grief journey. You might be thinking, "but I don't have a creative bone in my body!" Well, the beauty of these activities is that you don't have to be an artist or expert at anything. You may find that some of these ideas resonate with you and others don't. You may find you are drawn to do certain activities early in your grief and then gradually feel up to pursuing other ideas later in your journey as your needs shift and your grief is transformed. Although you may initially engage in an activity as a distraction, you may find that you feel uplifted by it and strengthened to try other ones. Be Mindful includes writing, music, list making, and self nurturing activities. They are about being gentle with yourself and being mindful of your thoughts and needs while pulling from your creative spirit. Getting Physical recommends activities that can help improve your overall well being through movement. Because grief is often held in the body, these activities can help release stress and muscle tension while also providing relaxation for the mind. They can be done at any level of fitness, and they are also a great reason to get up and get going during the day. Going Visual lists fun art activities that can be done by anyone. They include projects such as making a memory scrapbook, wishing ribbons, or decorating affirmation stones. You don't need to be an artist to be creative! Do these at your own pace; do them by yourself or with a friend; do them early in the morning or in the middle of the night; do one a day or one every three months. *Seek a little comfort just for you. *Write down all the ways you were enriched by your loves ones in your life. *Treat yourself to something you've been wanting. *Create a ritual of honor during a holiday, birthday, anniversary, or other celebrations. *Learn a new game with your girlfriends. *Consider writing your own story of loss and hope. *Try a creative movement dance class. With Halloween approaching, I feel the need to send another mamas note. As I flip through the television channels, the programming is filled with Halloween themed movies and horror flicks. When Logan died six years ago, I was sickened when my neighbor put up a pretend "graveyard" in their front yard. I remember my exhusband saying, "so we must look at THIS for a month?!" Remember that seeing graveyards - cemeteries- aren't funny or spooky to us. They unfortunately have become part of our lives and those ridiculous "RIP" fake headstones can be insulting. 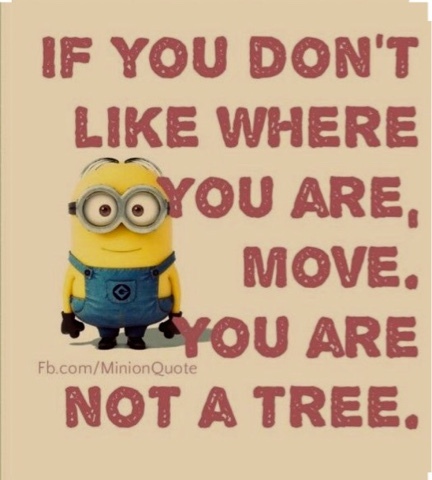 If you do not like where you are- MOVE! You are not a tree! Metaphorically speaking, this is an important decision for a grieving person. It happens at a snails pace but movement can occur. "When a plane crash claims the lives of members of the Marshall University football team and some of its fans, the team's new coach and his surviving players try to keep the football program alive. -- IMDb Plot: We Are Marshall (2006)"
THIS movie is really about moving forward THROUGH grief. HOW do we move forward? Each one of us is different. Our time tables are different as well. I will tell you that my main thought early in grief- "I don't wanna be in THIS place forever." I embraced the words, "grieving forward." Only with doing your grief work will you truly move through your grief.... To a new place. Movie quote-- "Grief is messy. It makes you do things you regret. Things you'll always regret." I know many many mamas now who are in various places in the continuum of grief. I want each of you to examine where you are and what you are doing to work through your grief. I do not want you to be saddled with lifelong regrets. YOU didn't ask to be in this place in your life. You DO have choices during grief as to whether you choose to become too comfortable sitting beside the headstone of your dead child frequently... or whether you are willing to eventually REALLY join life again. There is a time and place for grieving but there is also a time and place to TRY to move forward. This website is "hope for grieving mothers." With this website, I try to show you that there IS hope for your future, but the decision to slowly move towards healing is yours. "We are Marshall" is sad-- but each of us knows sadness-- but MOST importantly, it shows how grieving folks TRY to grieve forward. Please girls... Please TRY to keep moving forward. Please TRY to HONOR your deceased child by choosing to LIVE and by SEEKING joy. True joy. It is possible. This is not quick nor is it easy, but eventually possible.... But only if YOU desire it. Consider this thought-- How have you honored your deceased child this weekend with your actions?